The Seurasaari Island is a museum-island full of nature near Helsinki’s center. It’s a very popular sight, and checking it out is without a doubt one of the top things to do in Helsinki. 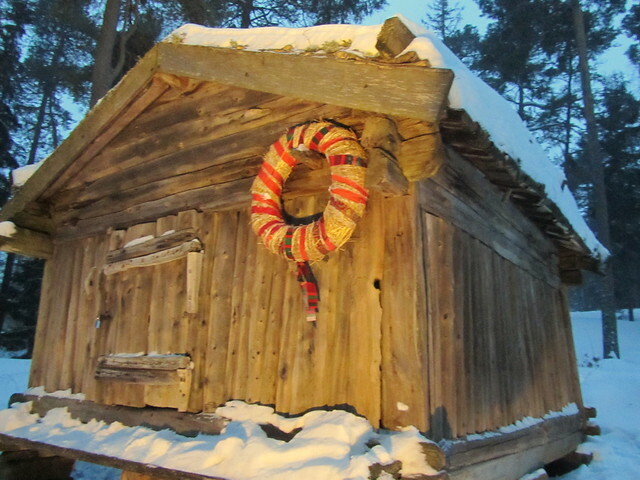 But during the Christmas season there is an extra incentive to pay a visit: the Seurasaari Christmas Trail. Bus 24 from the center of Helsinki takes you to Seurasaari all year round, but the next 15th of December it takes you to an event that only happens one Saturday per year: its traditional Christmas Trail. And I say traditional because 2013 will be its 18th edition, according to their official website. For whoever wants to join, it will take place on the 15th of December (UPDATE 2014: this year it will be on Sunday 14th of December, from 12 to 17h), and is a free entry event for everyone (as it always has been), although it is of course especially oriented towards kids and their families. The people who make this possible are volunteers, and the event has hosted up to 15,000 guests in the past. 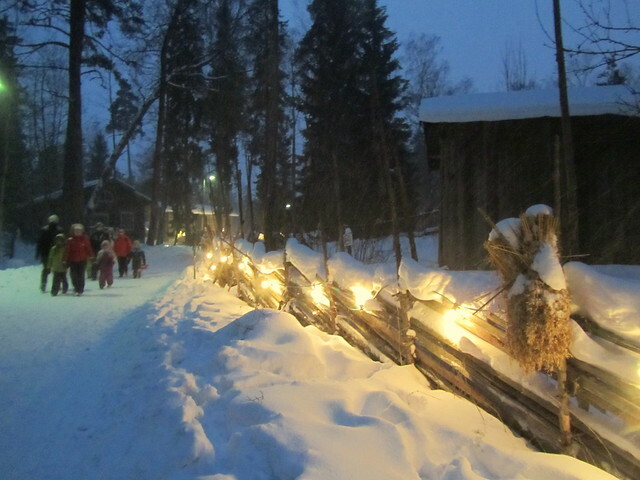 The Finnish name of the Christmas Trail is Joulupolku. The idea is to plunge into a Christmas fantasy world, bringing back an idea of Christmas from a time when consumerism wasn’t a part of it, but the messages of love, peace, and togetherness with the family were. 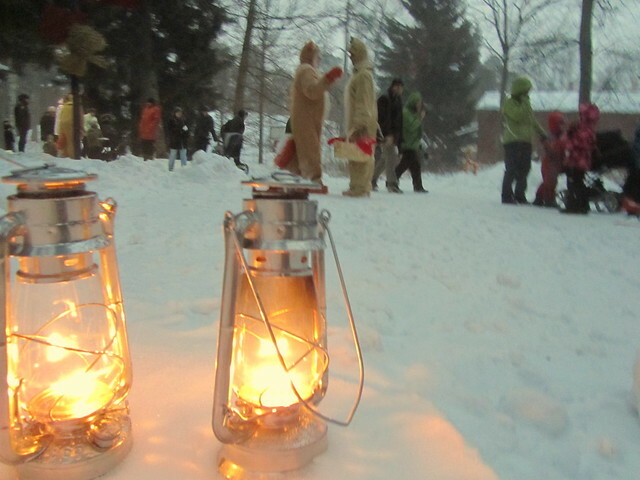 The Christmas Trail is guided by candles. There are plenty of different things to do along the Trail. 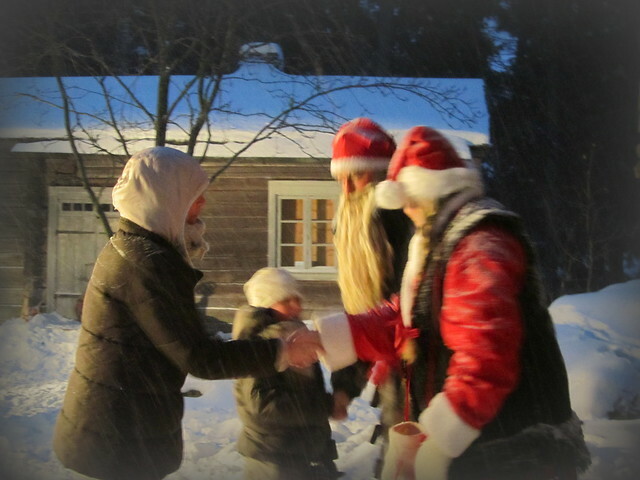 Everywhere there are volunteers dressed as elfs (in Finnish, Tonttu) to greet you and your family, and to bring out everyone’s true Christmas spirit. Some Joulupukkis (the Finnish name of Santa Claus) will be there too. Also, the setting for this event couldn’t be better: the buildings of this museum-island will be decorated with classic Christmas motifs. The boys and girls that so please can bring their own ornaments and place them on the trees. There will be a straw-labyrinth and a one-horse-open sleigh (as the reindeer is more a Lapp animal), an “adventure trail”, a tent where someone will be reading Christmas tales, a Nativity scene, sleighs, places to sing songs and free Christmas pudding for the kids equipped with their own bowl and spoon. More information about this year’s trail and program is already available on the event’s website. Not bad, right? The Christmas Trail is a family event. Why do I like this Helsinki initiative? Because it is, as they say, an alternative to the consumerist fest. The Christmas attractions of the Finnish Lapland (the Santa Park or the Santa Claus Village, for instance) are great, but its location might make it challenging for many travellers to reach. This Christmas Trail, on the other hand, with all of its Christmas spirit and great location, the family theme, and its free nature make it – for me – an awesome option. 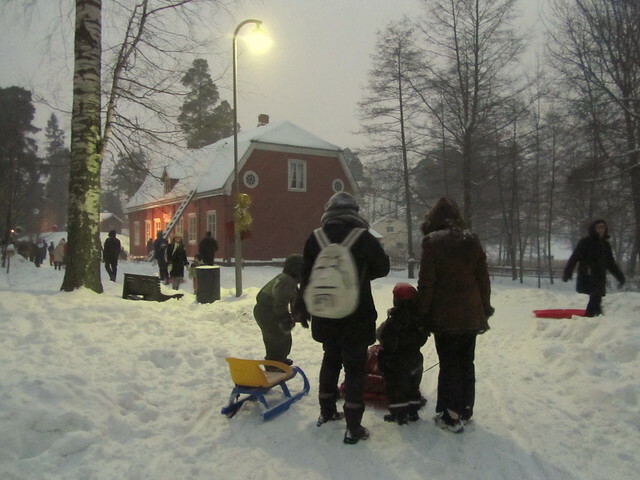 Have you been to the Seurasaari Christmas Trail? Would you like to go this time around? Don’t forget your mittens!